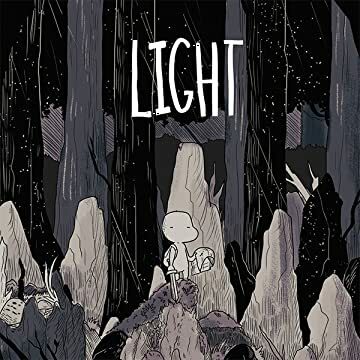 Light is a silent graphic novel that follows a pair of adventurers on an epic quest to collect five magic gems from deep inside the earth and bring them to the surface to return color to the world. On the way, they carry fire-lit torches through secret places and endless passages, swim in crystal-clear waters, encounter strange beasts and creatures, and meet strange mysterious hermits! 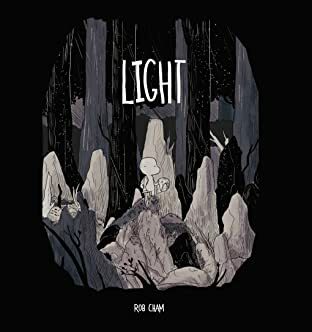 Writer/artist Rob Cham creates beautiful, vivid illustrations that gradually evolve from black and white subterranean worlds to vivid bright colorscapes. This inspiring, all-ages story recalls retro video-game vibes and role-playing games, creating a one-of-a-kind mythos of magic lands and mischievous critters.